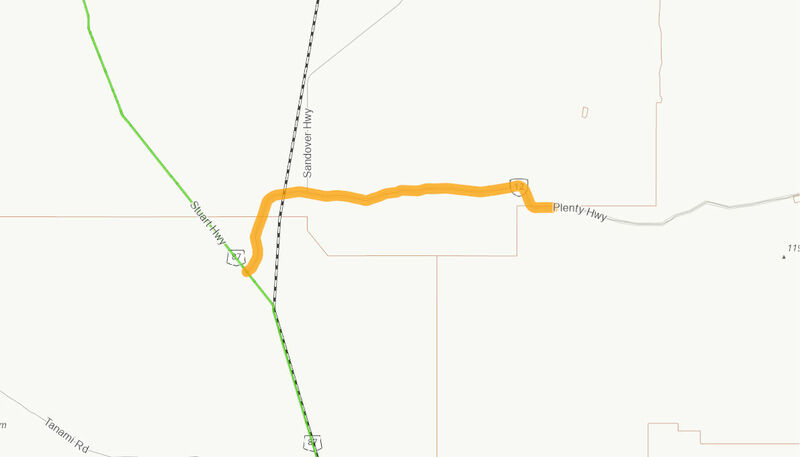 The Plenty Highway is a regionally significant arterial road, which supports remote communities and agricultural and mining activities. The Plenty Highway is part of the Outback Way, which is a national east-west link connecting Laverton in Western Australia to Winton in Queensland. The scope of works for this project includes sealing approximately 35km of the Plenty Highway. This project is one of two packages of works on the Outback Way in the Northern Territory being funded under the Northern Australia Roads Program. This project will address the urgent priority sections and improve the road service standard for all road users. The Australian Government has committed up to $20 million towards this $25 million project. Construction commenced in April 2018, and is expected to be completed in late 2019.